Delicious, healthy and beautiful! 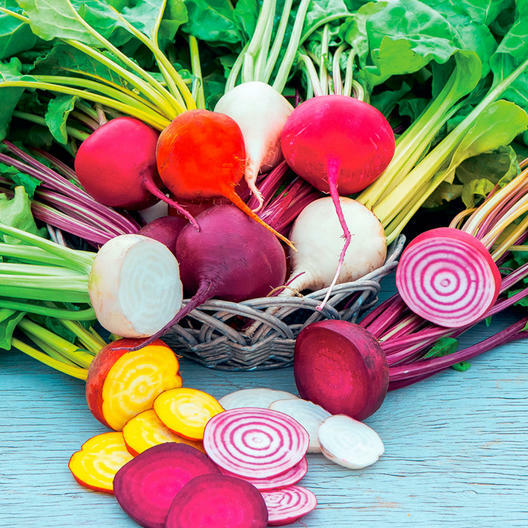 Our Rainbow Mix contains 4 varieties of beet seeds: the classic heirloom Detroit Dark Red Beets, Golden Detroit Beets, White Albino Beets and Chioggia Beets. Enjoy!